"I can highly recommend Greg Weissman and Deanne Nissen to handle any real estate transaction. They are as efficient and straightforward as anybody that I’ve ever done business with. My house was sold and closed quickly. Being that they work as partners, there was ALWAYS one of them available to answer any questions and offer advice. Everything they suggested was right on. Don’t hesitate to use them whether you’re buying or selling." "Greg is the consummate real estate professional who combines his knowledge with a wry sense of humor and logical business perspective . As an attorney who works with many brokers he is fully engaged in the transaction from start to finish and makes himself available to his clients any time even during non-business hours to make sure the process stays on course through the closing date. Greg will advocate for you throughout and always has his clients best interests at the forefront of his thoughts. M.R." "Knowledgeable, honest and hardworking. Greg knows the market and how to make deals happen." "“I have to say Greg is one of the real estate professionals (in any field of business as a matter of fact) you’d want to work with, period. From the engagement till the moment of closing, there was no moment of anything less than stellar professionalism. As living busy life like most of us are, I was able to completely rely on Greg’s trust-able, thorough, considerate, objective, and capable handling of every stage of the entire real estate transaction. Greg often preemptively handled multiple situations with his resourcefulness and went out of way to handle mitigating any complications that might have impacted the sale/closing. He is also very tech-savvy. As I am a software entrepreneur, I can attest his acumen and effective use of modern technology and marketing strategy which makes him shine above anyone I had interacted with in the past numerous real estate dealings.”"
"We were so pleased with Deanne and Greg in both selling our home and finding us a fabulous apartment!! They were there for us throughout every step of this process!! I would and have recommended them for anyone selling and buying. It was a pleasure to work with both of them!" "“I have to say Greg is one of the real estate professionals (in any field of business as a matter of fact) you’d want to work with, period. From the engagement till the moment of closing, there was no moment of anything less than stellar professionalism. As living busy life like most of us are, I was able to completely rely on Greg’s trustable, thorough, considerate, objective, and capable handling of every stage of the entire real estate transaction. Greg often preemptively handled multiple situations with his resourcefulness and went out of way to handle mitigating any complications that might have impacted the sale/closing. He is also very tech-savvy. As I am a software entrepreneur, I can attest his acumen and effective use of modern technology and marketing strategy which makes him shine above anyone I had interacted with in the past numerous real estate dealings.”"
"Greg helped us sell our house in Deerfield quickly and at a fair price, which was important since we were moving out of state. Greg is a hard-working, dedicated and honest agent. His background as a builder was important in handling certain issues. Greg also put in a lot of extra time and effort in dealing with several unique circumstances that came up during our transaction. Greg will go above and beyond to help a client, and we would highly recommend him to anyone looking for a real estate agent." "Greg - I would like to sincerely thank you for everything that you did for our family and for helping us find the perfect home. I know we asked you many questions but your ability to answer all of our questions directly, professionally, knowledgeably, and accurately was so very impressive. We liked the fact that you listened to what we were looking for, formed a plan, and patiently led us to the perfect home. In the end, we love our home and we love you! We will always recommend you to our family, friends, and everyone else looking for the perfect home. Thanks again! "Greg did an excellent job of representing our interests as a buyer throughout the process. We highly recommend him to others." "He had first hand knowledge of our neighborhood as a former resident. He had successfully listed & sold several homes in our area;making him very familiar with the properties on the market and their actual selling price. He always accompanied prospective buyers and gave us feedback. He utilized experienced professionals to photograph our home and produced a brochure for prospects with pictures and pertinent facts about the property..
Greg’s expertise helped us sell our home in just a month. He was easy to work with and gave us valuable, fact based information about both the market and the process. I would highly recommend Greg to anyone seeking a realtor for selling or purchasing in Northbrook and the North Shore." "We were very fortunate to team up with Greg. From our first meeting with Greg, to the last, he was extremely helpful.Gregg is very patient and open to our suggestions. We had no problems and were able to sell our house in a timely fashion to fit our needs. We would not hesitate to use Greg again." "Greg did an excellent job of representing our interests as a buyer throughout the process. His knowledge of the local marketplace assisted us in both selling and buying a home with Greg representing us. We highly recommend him to others." "Greg was dedicated to helping us find a home that matched all of our needs. His advice, insights and knowledge of the was invaluable. He kept the process moving along and supported us every step of the way, from preparing us to show our home through the bidding negotiations to closing." "A consummate professional. Gregg provided great preparation and attention to detail of the property. He was responsive to the needs of prospective buyers. He kept us informed on every showing and worked well with his fellow realtors to make sure the property was available, answer their questions and help them make informed decisions." "Greg has been a true professional. His communication skills, knowledge of the market, and his persistence have been very gratifying. We were especially impressed with his patience, sensitivity, and understanding of our particular needs. "Without reservation, we can state that Greg operates with the highest integrity, kindness, thoughtfulness and in the best interests of his clients. His patience is endless and the fact that he placed our needs ahead of any other, including his own is highly impressive. This speaks to Greg's professionalism." "Greg provided real estate service with a personalized touch. He went above and beyond several times when the complexity of our selling called for it. Greg's local knowledge was a huge plus as we navigated the ups and downs of the market. I would gladly recommend Greg to anyone looking to buy or sell a home." "We love our new home and I don't think we would have bought it without Greg's knowledge and understanding of the community and the type of home we bought. Working with Greg we never felt pushed or prodded during the process of finding a home. When we decided to buy our home he helped us negotiate the purchase, find a home inspector and offered his expertise and valuable suggestions when we told him of the proposed changes we wanted to make. I can't begin to imagine how anyone could work harder for his clients than Greg." "Greg's follow through was excellent. I would recommend Greg to anyone who wants a professional, knowledgeable agent to sell their home. Greg paid attention to little details, like calling us right after a showing to give us feedback. Greg also followed through with those who came through the house, to help us to tweak any minor changes that might influence a buyer. Greg was thoughtful and respectful of our time. I would recommend him as your realtor." "We entrusted Greg to sell our childhood home as well as an investment condo. He was trustworthy and professional through the whole process. He was also helpful in using his contacts to help with repairs at the properties. Ultimately, he was able to sell both properties at competitive prices. We recommend Greg highly without reservation"
"Buying our first home was by far one of the most important decisions our family has made to date. Although my husband and I have owned a condo before buying our first home, our understanding of the housing marketing and the differences between owning a home and a condo were limited. We needed a realtor that was both patient and knowledgeable about the housing market and we found the perfect one, Greg Weissman! Greg’s professionalism is like nothing I have ever seen or experienced. He supported both my husband and I as we searched for our dream home. We set up a meeting with Greg and we instantly liked him, he was professional, knowledgeable and very experienced in the real estate business. We knew we had found the right person to help us buy our home and he did not disappoint. Not only did we find our dream home in a few months but we found a home at an unbelievable price. We have our realtor for life! "Greg did a great job from start to finish. He convinced us that the price he was recommending we list the home for was reasonable and it sold for just below his number. He kept us grounded during the negotiations and never lost his cool himself during the process, which is almost always emotional and challenging. My experience with most realtors has been a true desire to get in and get out with a commission, but Greg has a sincerity to do the job right, and only get paid if the goal (sale or purchase) has been accomplished." House sold in two weeks, he also helped us find our new apartment. We highly recommend Mr. Weissman to anyone who needs to sell their home!" "Greg was instrumental in my search for a townhouse, and subsequently in the sale of my home. It was a pleasant experience due to Greg’s attentiveness, attention to detail, and always being available. Greg was kind, courteous, and patient, and I was fully satisfied with the whole experience." "Buying our first home was by far one of the most important decisions our family has made to date. Although my husband and I have owned a condo before buying our first home, our understanding of the housing marketing and the differences between owning a home and a condo were limited. We needed a realtor that was both patient and knowledgeable about the housing market and we found the perfect one, Greg Weissman! Gregs professionalism is like nothing I have ever seen or experienced. He supported both my husband and I as we searched for our dream home. We set up a meeting with Greg and we instantly liked him, he was professional, knowledgeable and very experienced in the real estate business. We knew we had found the right person to help us buy our home and he did not disappoint. Not only did we find our dream home in a few months but we found a home at an unbelievable price. We have our realtor for life!" "Greg was recommended to me by a colleague from lake forest. I was very please with his professionalism and how he instantly focused in on all the positives about our house- not what needed fixing. Greg had knowledge in the construction field and spent time finding out about the details of our home to help him become a better versed salesmen. Greg's follow through was excellent. Whenever a prospective buyer came through the house, he would contact us about any concerns or comments they would have. Greg paid attention to these trends and made realistic recommendations about how we could address issues without trying to have us spend a lot of money. Greg tried to personally be there for each showing and had a backup person who was also knowledgeable about our house if he had a time conflict. I would recommend Greg to anyone who wants a professional, knowledgeable agent to sell their home." "Greg was unbelievable. He went above and beyond what I had expected from my realtor. Before I even put my house on the market he and his partner came in and lent me boxes so that I could de-clutter my house, gave me ideas on how best to present my house and then executed those ideas. We put our house on the market the Tuesday in between Christmas and New Years and had 16 showings with a full price o'er that we ultimately accepted. Gregs professionalism during the negotiation period was unrivaled and made the process as smooth as possible. As I look back on the whole experience, I would say that Greg treated me as a friend or family member opposed to just another client. I would recommend Greg to anyone who is about to go through this exciting, but stressful time of selling their house." "Greg Weissman did a fabulous job for us. We love our new home! He's a real professional. Also you won't meet a nicer guy!! We can't wait to give him our existing home to sell for us." "Greg extended himself beyond my expectations to make my deal work. It would have never happened without him." "If the definition or professionalism is knowledge, experience, the ability to see problems and determinesolutions, then Greg exceeds the definition because he adds to it the role of a fiduciary in the process.He is patient, courteous and thinks through situations and scenarios so that he can present multipleif/then scenarios. He presents pros and cons and acts as a devil's advocate when necessary.We can't think of a single thing that Greg could have done to make our homesearch easier or more productive. We can highly recommend him." 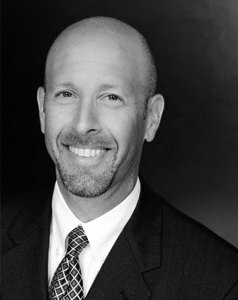 "Thank you to Greg Weissman, an exceptional agent at @Properties of North Shore. Greg demonstrated himself to be a knowledgeable, professional, and competent representative in all aspects of the process. He was quick to respond to all the questions and needs of our family. I would not hesitate to recommend his services to anyone thinking of buying or selling property." "Greg is a consummate real estate professional. He took care of every detail in preparing the home for listing. He showed every prospective buyer and agent our home and gave us almost immediate feedback on all of them. He understands the stressful nature of home buying and selling and worked with us with patience and professionalism. His network of connections in the home industry helped us with repairs and fixes to problems with our property during the selling process. We highly recommend him for your real estate buying or selling needs. SJ and CFJ"
"It was a very smart move to use Greg Weissman as our real estate agent. He helped us sell our home in a tough market. He did all that was possible to initiate and complete the sale. He responded immediately to all our calls and needs. There is no one I would recommend as a agent more than Greg Weissman. He is very knowledgeable of all aspects of this business and was totally dedicated to us with all of our needs." "As a real estate lender, I have experience with many real estate brokers. Unfortunately, I find most to be short-sighted and focused on a quick sale. Greg is the opposite he is strategic, diligent, knowledgeable and honest. An example of his honesty and integrity is if there is something he does not know, he will tell you. Then, he does his homework and comes back with an opinion based on market data." "On behalf of my wife and myself, over the past two years that we have worked with Greg in evaluating the real estate market for a new residence, Greg has been a true professional. His communication skills, knowledge of the market, and his persistence have been very gratifying. We were especially impressed with his patience, sensitivity, and understanding of our particular needs. He has great empathetic skills. We would highly recommend Greg in representing our interests in the sale or purchase of a residence." "We cannot say enough about Gregs professionalism, true and genuine nature and extensive knowledge when helping us find a home we loved. He was extremely patient and knew exactly what we were looking for. Greg took time in understanding our needs in what we wanted, he also has a solid knowledge of home construction which was great. He is very personable and always arrived on time. We would certainly say with utmost confidence that if you are looking for a realtor we would highly recommend him and that he goes above and beyond for his clients. We only have wonderful things to say." "I would like to recommend Greg Weissman to any person looking to either buy or sell property. Greg did an incredible job as my real estate agent and was a fine example of how a real estate agent should operate. I used Greg to sell my house in Highland Park and when Greg became my agent the house had been on the market a long time with not many prospective buyers. Greg identified some key areas we could improve the house and was very hands on in helping to make the house presentable, as well as utilizing solid professionals to make small improvements to the house in a way that fit my tight budget.Greg is a man of great integrity and comports himself with great professionalism. He is someone you can trust and takes his job very seriously. At the same time, Greg is able to handle conflicts extremely well and always looks at the positive side of a situation. I believe that Greg's best quality is honesty, he will tell you what he truly believes rather than telling you what you want to hear. Throughout my time with Greg, I always felt he had my best interests at heart and the bottom line is that Greg got the job done and sold my house at a good price and in an efficient manner. Greg Weissman receives my highest recommendation as a real estate broker and I seriously doubt you can find a more dedicated or honest realtor out there than Greg!" "Thanks to Greg, the overwhelming process of finding a new place to live went quite smoothly. His patience and attention to detail were excellent. He always noticed the good and bad in a property. I highly recommend him to all who are looking for a new place to call home. The L. Family"
"Our parents retired and moved from Northbrook to California to be closer to us. They left us the daunting task of selling their properties while we were all living on the West Coast. Greg did a great job fixing, listing, and selling both our home and rental condo in a cost-effective, efficient manner. Greg exceeded our expectations in both how quickly he sold the properties and how much he got for them. The photos showcasing our properties were professionally done, and the online presentation was top notch. Greg was honest, proactive, and communicated well with us. We always felt comfortable with Greg at helm, despite living over 2000 miles away. My brother and I would like to thank Greg Weissman for his expertise and diligence in selling our parents house and rental condo. We recommend Greg highly without reservation.Sincerely,Dr. P. S. & E. S."
"My wife and I would like to express our gratitude and esteemed respect to Mr. Greg Weissman in his relentless efforts to place us in our new home. Notwithstanding the particulars of our requirements which made the target very challenging, Greg applied himself tirelessly until the end result was achieved. This included spontaneous arrangements that he made on many evenings to search out and view prospective opportunities with us. Without reservation, we can state that Greg operates with the highest integrity, kindness, thoughtfulness and in the best interests of his clients." "Greg is a terrific broker. He is very personable and very communicative. He is also very knowledgeable about real estate and the neighborhoods in the Chicago area. Greg really went the extra mile for me, leaving no possible property un-viewed. He contacted the other brokers and made appointments quickly and accommodated my difficult work schedule. He sat with me after viewings to discuss the possible price negotiations and work that had to be done in the various properties. I highly recommend Greg and look forward to working with him when he helps my father with his sale and purchase." "October 26, 2014Dear Greg,We write this letter to thank you for the terrific job you did in helping us list and sell our home (in less than a week for only 3% less than asking price! ), and to allow you to use this as a letter of reference to anyone considering hiring you as their realtor. We believe there were a number of areas that you really did a great job on: 1. Convincing us to list at a price higher than we thought the home was worth, based on your knowledge of the market and confidence in the price you were recommending. 2. Calmly negotiating with the potential buyers and diffusing a potentially difficult situation when there was more than one party interested in purchasing the home. 3. Most importantly, keeping us calm and grounded during the more emotional and challenging moments of the home sale process!We would be happy to speak with anyone considering on hiring you and want to thank you again for your fine and diligent efforts in getting our house sold.All the best." "In a world where housing photos, pricing history, and sales information is all provided on-line with a few clicks, it has become obviously more difficult, and simultaneously more important, for top realtors to differentiate themselves from the pack by really adding value to their clients journeys. Greg Weisman accomplished this for us and distinguished himself in every way. Greg forever seemed to "know someone who knew someone" in every neighborhood; he researched issues related to mechanicals and improvement pricing at various houses; he understood the structural implications of everything and frequently pinpointed and explained the difference between an unsuspecting large problem lurking and a small one. He did it all with tireless patience for our ever-changing wish list and goals, and with the professionalism that really brought order to what can be a (very) overwhelming process." "We were first time buyers when we contacted Greg Weissman, and he could not have made the experience any easier. Greg is the quintessential pro. With his background of being a real estate investor and developer, Greg was able to give us a point of view that few other real estate brokers can offer. Further, Greg's communication and openness enabled us to trust him and know we were getting the best deal for us. He found us a great place to live that should turn into a great investment as well. We plan to use Greg for all of our real estate transactions in the future and will certainly recommend him to all of our friends that will be buying in the coming years." "I am an out-of-state client and 95% of communication between Greg & myself was done by email. Communication was timely, efficient, concise and pertinent. Sale transaction was quick, well within my "hoped for" time frame and painless." "Our experience with Greg and @properties was a pleasure. We sold our house right away for over list price. Greg was very helpful and professional in preparing our house for sale, compiling an impressive brochure and dealing with potential buyers and their agents. I highly recommend Greg to anyone looking for an experienced real estate agent." "Greg Weissman's professionalism, market knowledge and good sense of what his client is looking for, resulted in him finding our company several real estate opportunities. It is not often you find a broker with such honesty and integrity as Mr. Weissman. He has been a pleasure to work with and we look forward to working with him to close more real estate deals in the near future." "Greg Weissman was a consummate professional. From start to finish, he helped us through the entire process, providing us with the benefit of his experience and extensive knowledge of the market, as well as his perceptive insights, all of which he shared in a frank, direct manner. We very much appreciated this, as we wanted and needed candid advice and counsel, which he always gave. Sometimes this meant he had to deliver information and observations that we didn't necessarily want to hear (when we liked a property, for example, and would've overlooked significant issues...his candor, direct approach, and honesty served us well). He was always available, assisted us with everything from getting our home ready for showings, to researching schools and neighborhoods for our new home. He was also understanding and flexible, working with us closely to make the process as easy as possible. We couldn't give a higher recommendation." "photo of the sell-side home"
"Greg Weissman has a keen ability to identify opportunities that other realtors sometimes miss. As an example, in my case, he encouraged me to purchase a residence with unusual construction that hadn't attracted much interest. The purchase was made, Greg obtained an excellent tenant, and this property has turned out to be one of the best real estate investments I have ever made. Greg does not cut corners and delivers what he promises. He is a first class realtor." "I've dealt with many real estate brokers and I must say that Greg is the most attentive broker I have ever dealt with. It's nice to deal with someone who can "think out of the box". I would highly recommend him." "We want to thank Greg Weissman and @properties for their professionalism and understanding of this struggling market. Greg quickly put us at ease and within a few weeks we had an offer. he was available to us night and day and accommodated our crazy schedules. There are so many realtors to choose from, but Greg is a standout in his field. When we are ready to buy our next house, we will be calling Greg first!" "We recently settled into our new home with Greg's help. Having gone so well, it would be hard for us to imagine working with anyone else. We are happily his clients for life. Greg made certain he fully understood our tastes, giving detailed and thoughtful attention to the needs of each member of our family (even the cat and dog). From the technical/structural issues, to the financial details, Greg's having worked with all of the significant people in the field, from lenders, to attorneys, to inspectors, put us in a strong position.Thanks to Greg, our pursuit of a home was focused and efficient. When we visited properties, they were ones of strong consideration. Greg had us efficiently routed and scheduled as we rode in his immaculately clean car with snacks and beverages on hand. We were in great hands with Greg and he is always there for us when we need him in the future." "I used Greg as my agent/broker for the purchase of my condominium on the north side of Chicago in September of 2012. I had a very specific set of criteria that needed to be met before I moved forward with the purchase of a property and Greg was incredibly diligent and detailed in finding exactly what I needed. In fact, Greg was so thorough he found qualities in my new condo that I didnt even know I wanted until he pointed them out to me! He had an extensive list of appraisers, inspectors and contractors ready to help if any repairs were needed. Greg also did a wonderful job in negotiating the price of my purchase. His knowledge of the neighborhood and his research into recent activity in the area allowed me to secure the purchase of my condominium for far less than I expected. Gregs professionalism, diligence, knowledge and expertise make him an excellent choice for anyone looking to purchase or sell a property and I would recommend him to anyone looking to buy or sell a property." "It was an absolute pleasure for us to work with you and we would have no qualms referring new business to you having full confidence that you will give all your clients the same level of value-added service you provided to us. Thank you...Once again, thanks for all the effort - it really made buying a home a pleasurable experience." "His (Greg's) knowledge of the market allows him to recognize a good value quickly. Greg sold me three properties in 1994 alone. He is resourceful, works hard, and most importantly, has always been straightforward and honest. I would gladly recommend him to anyone." "Thank you for all the great work you put in to helping us find our new home. When we began to look in the Chicago market, we did not know what we wanted. You helped us identify our needs and find a great home, in a great area, and most importantly, within our price range. You also gave us extra effort in selling our home. You really went beyond the call of duty and it is greatly appreciated." "Greg is knowledgeable across a wide spectrum of areas including acquisition, design, and sales. he will be a significant asset to any project that he works on as he will focus on getting the job done in an exemplary and highly proficient manner." "I can tell you with unqualified certainty that you are a credit to your profession. I would not and will not hesitate in the future to recommend you to my friends." "Greg started off with listening to my needs and informing me of the process I was beginning (it was my first home). He really seemed to understand what I wanted. As we began looking, Greg was very well informed about the neighborhoods we were looking at and about the market in general. He also wasn't afraid to do a little extra work and find out more. When we did find a home I wanted, Greg took care of all the details and was very informative about what i needed to do. My purchase came off smoothly and I give Greg all the credit for that fact.My new home is wonderful and the search and purchase couldn't have gone better all due to the efforts of Greg Weissman. Greg is both extremely knowledgeable and infinitely patient and understanding. His attention to detail has been amazing and he worked tirelessly to make sure that I was informed about and comfortable with every step of the process. I would recommend Greg to anyone looking to buy real estate as a home, business or investment. I trusted him and he came through for me; he'll do the same for you." "Greg provided exemplary service and communication throughout our business dealings...I found Greg to be honest in his opinion and judgement, efficient with my time...I am happy to recommend him to anyone in the Chicagoland area as a representative for real estate acquisition." "Greg made the search for our new home a pleasant experience. Our search began with understanding our needs and desires. We then tried to narrow our focus so we could pinpoint the ideal house to suit all of our needs. he consistently asked questions, trying to understand what we wanted in a house.As we began to look at houses, Greg deicated a lot of time to us, watching the market. As we walked through a house, he asked questions we did not think to ask. Greg offered advice and ideas related to rehabbing the houses we looked at.Greg made us feel comfortable enough to ask lots of questions. Overall, our experience with Greg Weissman was a pleasant one. We have, and will continue to recommend his services to our friends and colleagues." "We have been in our new home for many months now. We are so happy here and want to thank you. As our broker, we really feel like you were looking out for us and were committed to helping us find our dream home, which you truly did!The prospect of buying a home is thrilling, yet emotional and often frustrating. having you as our broker made all the difference in the world. You were resourceful, organized, and thorough. As a result, we wer well prepared and knew what to expect in the current real estate market. Your attention to detail is tremendous as is your knowledge about construction and architectural issues. it really helped us to ask the right questions and focus on areas we might have missed. We were always informed, even when it wasn't exactly the information we wanted to hear.Once we found our home, your help didn't stop there. We greatly appreciate your assistance with selecting a painter and an electrician. You certainly went the extra mile for us.We wish you great success in the future and know that anyone that hires you as his or her broker will find you to be as honorable and reliable as we have. They will be in the best hands. Thank you." "Jim and I wanted to take a moment to thank you for all of your efforts in finding us the perfect home! Your knowledge of the Chicagoland marketplace was instrumental in our search. You spent a great deal of time "educating" us on different areas throughout the city. This really helped us feel confident once we decided to purchase our condominium in Roscoe Village.You were always available to show us potential places (even though we weren't your only clients), you always promptly returned our telephone calls and you were positive and reassuring when we thought we would never find the perfect place. We heard so many terrible real estate stories from various friends and coworkers. But, our experience was very positive - we feel this is because you were so thorough on every detail. It make working with you an absolute pleasure.We will recommend your services to anyone we know looking for a home. You are a true professional and we wish you continued success." "I'm very pleased with the job Greg and Rich did for me. I felt as if Greg was always looking out for my interests, even keeping up with me while on vacation. I think sometimes he (Greg) stressed the investment angle more than I cared for him to, but I understand where he was coming from." "We are thrilled with our new home! Many thanks." "Evaluation form.Category 1=most, 5=least; Honest/objectivity - 1;Effectiveness of communication - 1;Knowledge of real estate marketplace - 1;Professionalism - 1;Ability to use your time effectively - 1;Understanding all aspects of a real estate transaction - 1;Attentiveness - 1;Work ethic - 1;Resourcefulness - 1;Accessibility & responsiveness - 1;Would you work with this agent again? YesWould you recommend this agent to a friend? Yes"
"Evaluation form. Category 1=most, 5=least; Honest/objectivity - 1; Effectiveness of communication - 2; Knowledge of real estate marketplace - 1; Professionalism - 1; Ability to use your time effectively - 1; Understanding all aspects of a real estate transaction - 1; Attentiveness - 1; Work ethic - 2; Resourcefulness - 1; Accessibility & responsiveness - 1; Would you work with this agent again? Yes. Would you recommend this agent to a friend? Yes.Greg Was our agent on both sides of the transaction; buying and selling." "Communication with our lawyer could have been a bit better in terms of receipt of our closing check. However, all in all, we were very happy with the service received. Greg also made us realize we had never received our homeowner's exemption which was quite a surprise." "Would you work with this agent again? Yes.Would you recommend this agent to a friend? Yes." "Greg,You are great to work with! I would absolutely recommend you to any and everyone looking for property." "Mr. Weissman was incredibly informative and helpful to us (as first time buyers), and we would definitely use his services and assistance again." "Greg,Everything was great. We hope to refer you a lot of business over the years." "Evaluation form.Category 1=most, 5=least; Honest/objectivity - 1;Effectiveness of communication - 1;Knowledge of real estate marketplace - 1;Professionalism - 1;Ability to use your time effectively - 1;Understanding all aspects of a real estate transaction - 1;Attentiveness - 1;Work ethic - 1;Resourcefulness - 1;Accessibility & responsiveness - 2;Was your agent of significant value to you? YesWould you work with this agent again? YesWould you recommend this agent to a friend? Yes"
"Greg excelled in both his knowledge of the real estate marketplace as well as his involvement in the real estate transaction. In my prior experiences, I have found this combination of skills to be quite rare. I would definitely recommend (Greg) to my friends and family." "Greg, Thanks for everything! I learned a lot by working with you and I will definitely recommend a friend." "Evaluation form.Category 1=most, 5=leastHonest/objectivity - 1Effectiveness of communication - 1Knowledge of real estate marketplace - 2Professionalism - 1Ability to use your time effectively - 1Understanding all aspects of a real estate transaction - 2Attentiveness - 1Work ethic - 1Resourcefulness - 2Accessibility & responsiveness - 1Was your agent of significant value to you? Yes.Would you work with this agent again? Yes.Would you recommend this agent to a friend? Yes." "He was such a nice person to work with. He offered advice and help. In the future I want a work with him again." "Greg is a knowledgeable broker who provides outstanding service. He is attentive to all the details of a real estate deal and has his pulse on the market. He makes it easy for both buyer and seller to reach a deal and close quickly and eccnomically." "I am an out-of-state client and 95% of communication between Greg and myself was done by e-mail. Communication was timely, efficient, concise and pertinent. Sale transaction was quick, well within my 'hoped for' time frame and painless." "Greg helped us through some difficult parts of the real estate transaction. He was very professional throughout the process." "Greg Weissman was a consummate professional. From start to finish, he helped us through the entire process, providing us with the benefit of his experience and extensive knowledge of the market, as well as his perceptive insights, all of which he shared in a frank, direct manner. We very much appreciated this, as we wanted and needed candid advice and counsel, which he always gave. Sometimes this meant he had to deliver information and observations that we didn't necessarily want to hear (when we liked a property, for example, and would've overlooked significant issues...his candor, direct approach, and honesty served us well). He was always available, assisted us with everything from getting our home ready for showings to researching schools and neighborhoods for our new home. He was also understanding and flexible, working with us closely to make the process as easy as possible. We couldn't give a higher recommendation."